This comes courtesy of the folks at Greenpoint Veterinary Hospital. 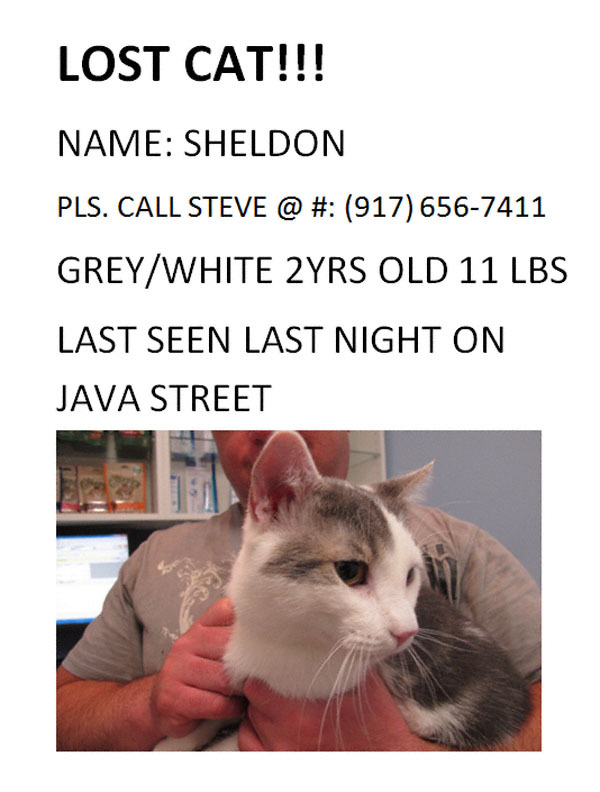 If you have seen Sheldon or know of his whereabouts please contact his “person” at the above-listed telephone number. Thanks!